The font used was based off the cover art from Master of Reality. There’s an interesting story about the Master of Reality cover art differences on the MOR page here. The earlier incarnation of this compilation came out in 2009 under the simple title, “Greatest Hits”. Just one, “Evil Woman”, originally by a band called Crow. This one caused the biggest problems. Below are the ones I was using as correct answers. There may be more than this, but no others were submitted by anyone, and I wasn’t aware of them when I created the list, so here’s what I have for #5..
Changes – Kelly Osbourne covered this, and had Ozzy on vocals (see a pattern?) – This one was forgotten by about 90% of the people that sent in answers. I was quite stunned at the number of people who didn’t mention this at all. The Wizard – The “band” Bullring Brummies covered this, and had Bill & Geezer on it. Was supposed to be more than that (Tony & Ozzy too, but that was band politics at the time). Now… There’s other things that people submitted for this which I disqualified. The first was Busta Rhymes version of Iron Man. It has Ozzy on it, but the lyrics are totally changed around – and in my opinion is the singular WORST cover song I’ve ever heard (even worse than Britney Spears doing I Love Rock & Roll). Due to the complete change in lyrics and theme, I opted to view that as not a straight cover. Had some mention Bio Hazard’s After Forever cover that has Bill Ward in the video, but he’s only in the video, and not on the track. I also had someone suggest Bill Ward’s solo track, “Try Life”, which has a 2 second sample from Paranoid, but that’s the same as a rap sample. I also thought about using Ian Gillan’s cover of Trashed that had Tony Iommi on it from his Gillan’s Inn album, but I decided against it, as it was a Sabbath member covering his own work, I was more looking for other bands covering Sabbath and including a Sabbath member in it. Likewise Tony Martin covering the Tyr track Jerusalem on his own 1992 solo album. 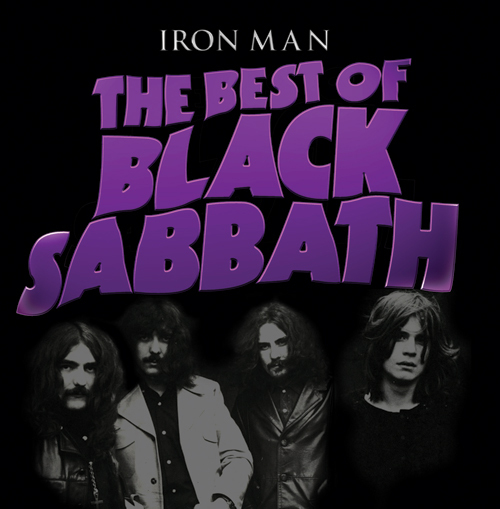 The cover of the Iron Man compilation has the purple font based after an older Black Sabbath albums’ cover art. What is that album? This compilation was previously released under the title “Greatest Hits”. What year did that earlier edition come out? How many songs from the track listing are cover songs? Which Ozzy era studio albums were not represented with a track on this compilation? 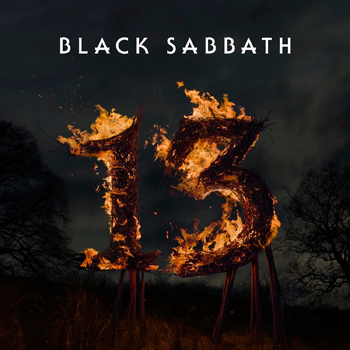 Which of the tracks from the compilation’s track listing were covered by someone else (as a studio track), and ON THAT COVER INCLUDED AN ACTUAL BLACK SABBATH MEMBER? Regarding #5, most everything on here has been covered by someone else, but the catch here is in that cover does it include an original Black Sabbath member as well? That’s the key here. Here’s a few things I’m not counting in #5..
Live appearances don’t count, see Ozzy playing with Metallica doing Paranoid recently, that’s not what I’m talking about – I’m talking about STUDIO TRACKS. 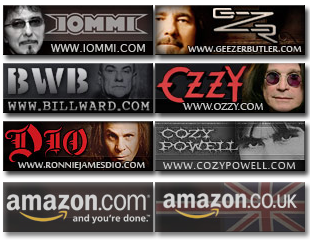 You need to send your answers for the questions and your name and address to ironmancd@black-sabbath.com. There’s two important things here. First the email must go to this address (do not use the contact form on this site). Second, you have to include your name and FULL shipping address (this is especially important if you are not in the US, as I frequently get addresses that are outside of the US that make no sense to me – make sure it is ALL THERE!). IF YOU FAIL TO COMPLY WITH THESE TWO SIMPLE INSTRUCTIONS, YOUR SUBMISSION WILL NOT BE CONSIDERED. The contest will run through Friday evening the 22nd of June at 10PM (my time, which is the Central Time Zone in the US, currently GMT -5). A reminder about this release, though. It was released by Universal records, who hold distribution rights for Black Sabbath’s music worldwide – EXCEPT for The United States and North America (Warner Bros/Rhino holds the rights there). As such, this is not released domestically in the US. If you’re looking for a recent vintage compilation in the US, there’s the 2006 compilation named “Greatest Hits 1970-1978“.